©2012 McCann, Jess. (P)2013 Audible, Inc. I have already recommended this book to a friend? Why? Because she is going through some of the examples the author mentions and even though most of it is common sense it always sounds better coming from someone else...I dont want to be the bearer of bad news....plus its better getting advice from someone who is impartial to the situation..great ideas by the way and an intuitive way of putting across the authors views and observations. What was one of the most memorable moments of You Lost Him at Hello? Read this book while driving 9 hours....loved it...made the trip seem a hell of a lot shorter....but no definitive moment stood out above all others sorry.. Which character – as performed by Julia Farhat – was your favorite? I recommended it to my friends. What made the experience of listening to You Lost Him at Hello the most enjoyable? No-nonsense points that truly hit home. For example: if a man is showing a low or moderate level of interest in you, don't agonize over "why", "what did I do wrong? ", "but I thought we hit it off, why isn't he calling?" or any of the other dead-end paths women tend to go down. Simply note that he has a low or moderate level of interest in you, and adjust your expectations accordingly. It seems obvious now but I could have used this advice years ago. One quibble with the point of view: It felt to me like this book had an underlying tone of the old-fashioned premise that it's women's job to attract / do the right things to get the men to like them, and the mens' job to either be interested (and hopefully lead to marriage proposal) or not. Kind of like men still ultimately hold the cards, which I don't agree with.THAT BEING SAID, I still think there were many, many excellent points and advice in this book. I may be a feminist but I still made MANY of the mistakes she talks about, and she is spot on in her observations. Have you listened to any of Julia Farhat’s other performances before? How does this one compare? Listening at 1.5 or 2x speed (don't remember) was absolutely perfect. Her voice had a positive, clear and interesting tone that brought the text to life very nicely. However, I found it to be incredibly slow going at normal speed. While many of her examples seem to be about quite young women (college / early 20's) which can be a bit of a turn-off for those of us in the 30s, 40s or even 50s age range, there is still great, universal material here for straight women trying to navigate the world of dating and meeting men. The narrator leaves much to be desired because her pace is a little slow and lacks enthusiasm. BUT, if you listen at a faster speed it makes it much more pleasant. The content of the book is great. Definitely recommend for my fellow single ladies. Exceptional! Exactly what I needed !! Very practical, easily understandable, and easy to apply advice! Make so much sense and showed me exactly what all I was doing wrong, and step by step what to do to change it, and get what I want. I really liked how she compared dating in every situation to sales- really showed a clear picture, very helpful! Thank you!! Good book! Kinda of must read! I really enjoyed this book but the reader is sooo damn monotone. I wished they had a different reader. 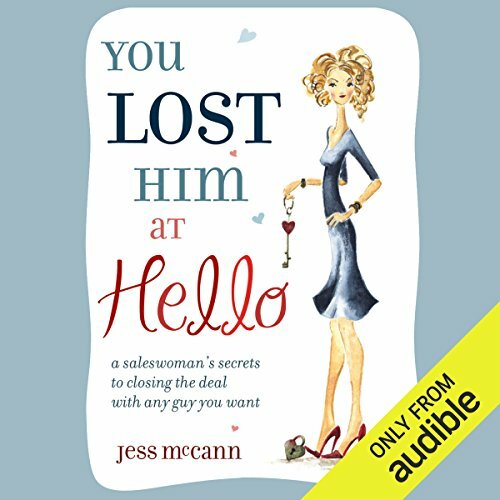 However, the book is a must listen too if you are struggling with dating. Don't waste a credit on this general advice and common sense book you'll be sorry. Jess is amazing at this. I have struggled so much with dating. This book has changed my life. There are some other good books to add to this, but this one for me at lest is a must! It's simply a must. But still really solid advice, not just for dating, but for life. If you can wade through the coed life context at the beginning, the meat of it is very good.